If I was to mention H.P. Lovecraft in conversation and ask you to name some stories by him, more then likely the first three would be The Call Of Cthulhu, The Dunwich Horror, and Dagon. This is not a knock on his other works or the man himself as he has a worldwide fan base. There has been countless movies based on his work, some obvious ones are THE DUNWICH HORROR (1970) and RE-ANIMATOR (1985). His other works also got the movie treatment but these are more loosely based on versions, examples are BANSHEE CHAPTER (2013) and DIE, MONSTER DIE! (1965), to the uninitiated into his work it would be hard to spot the references. This is where SelfMade Hero's graphic novel adaptation of H.P. Lovecraft's stories come in. 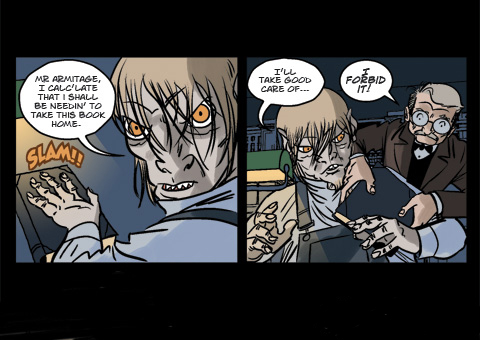 Beautifully illustrated throughout by several artists and adapted by some of the worlds best known writers, The Lovecraft Anthology: Volume 1, is the perfect book to pick up to introduce you to the Lovecraftian world of terror. 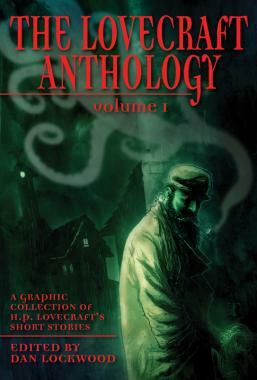 This volume contains: The Call Of Cthulhu, The Haunter Of the Dark, The Dunwich Horror, The Colour Out Of Space, The Shadow Over Innsmouth, The Rats In The Walls, and Dagon. Do not be fooled by the colourful illustrations of the Great Old Ones in this volume, as they hide a dark mysterious world full of vengeance and grotesque imagery. It is unfortunate that his work gets more recognition after his death, but he has left an undeniable mark on the horror fiction writing playing field. Once you have read this volume you will find yourself wanting more Lovecraft in your life. The Lovecraft Anthology: Volume 1 is published by SelfMadeHero and is out now. (120 pages, colour. Available in paperback and kindle edition. ).